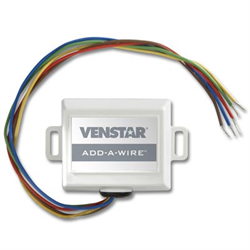 In applications where you need an extra wire to power your thermostat (C Wire for example) and additional wiring cannot be run, the Add-A-Wire accessory can solve your problems! 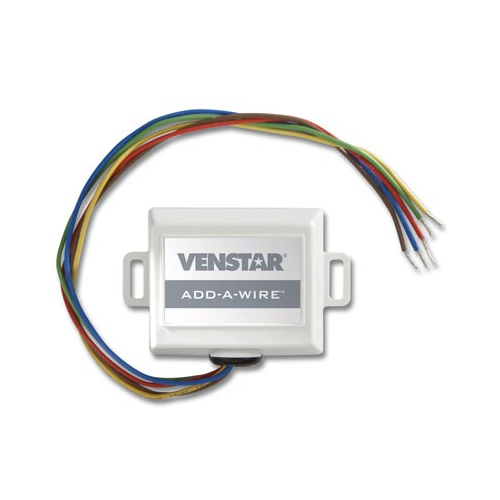 The add-a-wire can also be used to fix a broken wire, to make one thermostat work like two, to add cooling to a heat-only system, or to add a common wire to a 4-wire system. The add-a-wire works by allowing a single wire to be used for 2 functions, allowing you to free up one of the existing wires and use it for your new application such as for power (C wire). Please Note: the green and yellow wires of the Diode "Y" MAY NOT be connected to the R or C terminals.